Many of you likely played this game as a kid. I never owned it and only had the opportunity to play it when I was visiting someone who did. I forgot how much fun – and how challenging it can be. The kid in me remembered the fun. And in playing as an adult, the fitness professional in me realized it can be a great endurance/flexibility workout. From the perspective of brain health, it can also be a fun way to challenge your mind and body simultaneously. What is it? Twister! 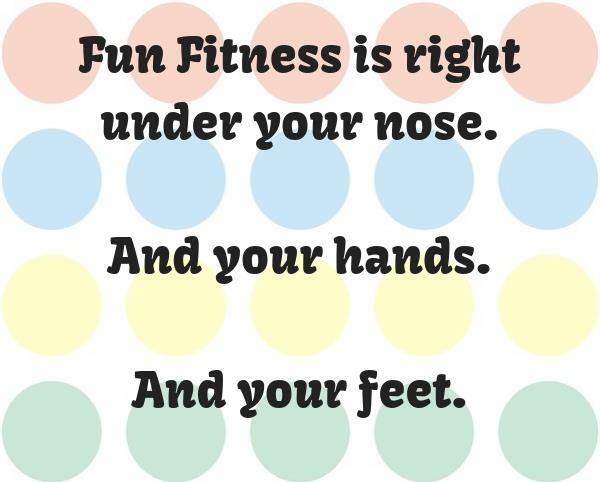 It’s another example of the ways in which the opportunities for fun and fitness are right under our noses – or more correctly feet and hands in this case – and we miss them. Twister is a great game to get kids and grown –ups laughing, using their bodies, and connecting. There’s even a new, larger version with double the dots so you can use it with more people at once. You play with two teams of two people. For this version you only move your feet on the colored dots and can do whatever need to with your hands to get your feet in position, keep your hands on the ground (anywhere), or stand up when you get your feet in position. Whenever the spinner lands on a hand movement, you and your teammate have to high-five each other with that hand. If either member of the team fails to high-five or loses their balance or moves their feet, that team loses. This version mimics (loosely) the popular follow-along dance games. One person who isn’t playing (the judge) spins the spinner and writes down the result. Each player does what the spinner says, and each spin adds to the combination of moves based on body part and dot color. The judge keeps track of each spin result in order (might be a good idea to write them down.) Each player must perform the moves, but you don’t stay on the board. Each player takes turns going first in the combination. It will be easy at first but will get harder as the game goes on. You are out when you miss one of the moves and the winner is the last person left. 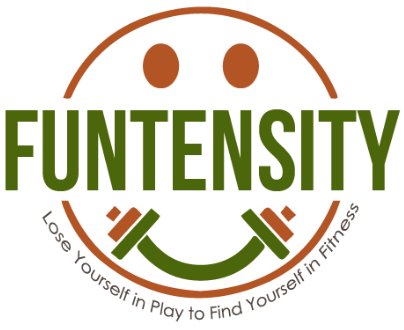 There are always opportunities for fun, movement, and sharing time with people if we look for them and think beyond fitness as something we must trudge through forcibly in pursuit of weight loss – this is what Funtensity is all about.